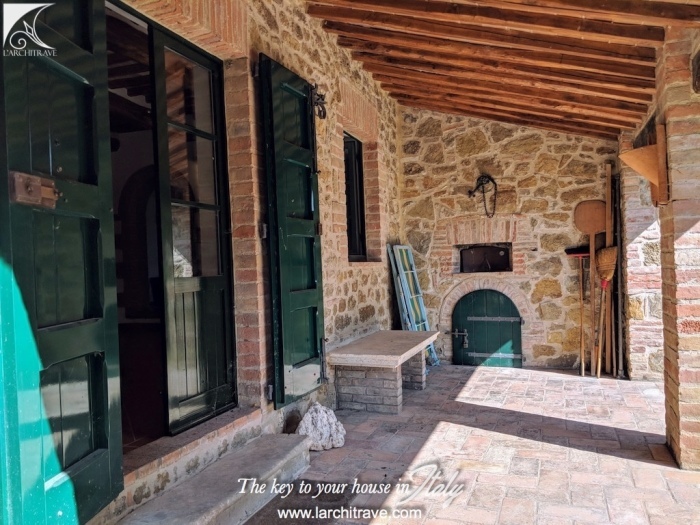 Stone farmhouse, beautifully restored with fenced large garden, 4 bedrooms and 2 bathrooms. 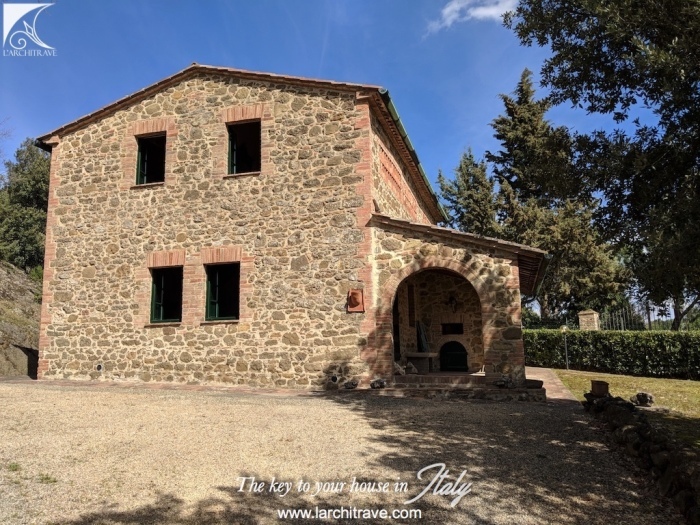 Beautifully restored detached Farmhouse, on two floors and surrounded by 1,500 sqm of fenced and lit garden facing South. 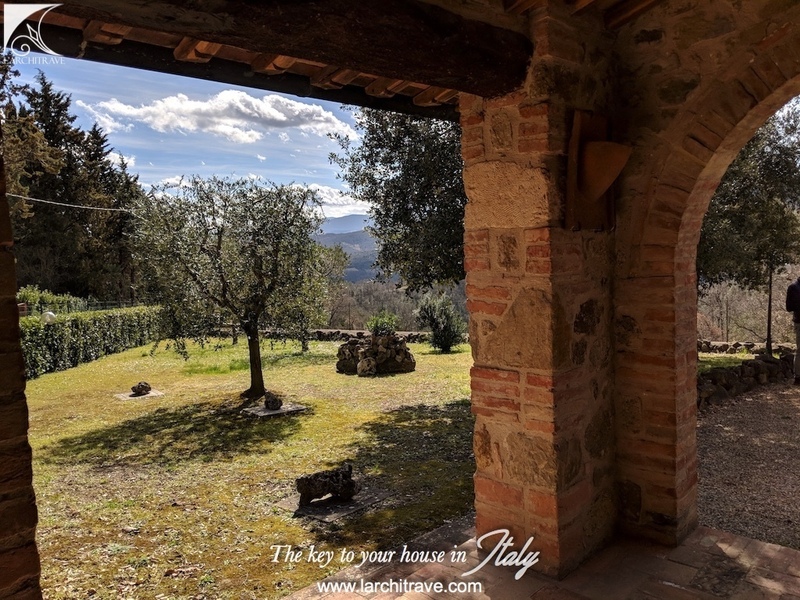 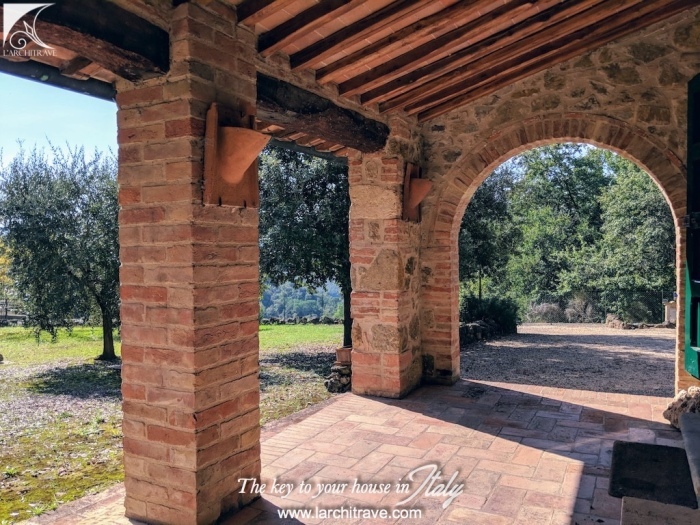 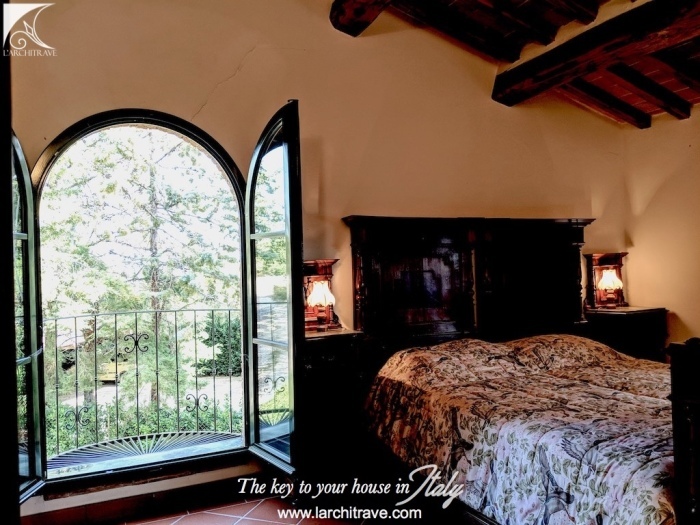 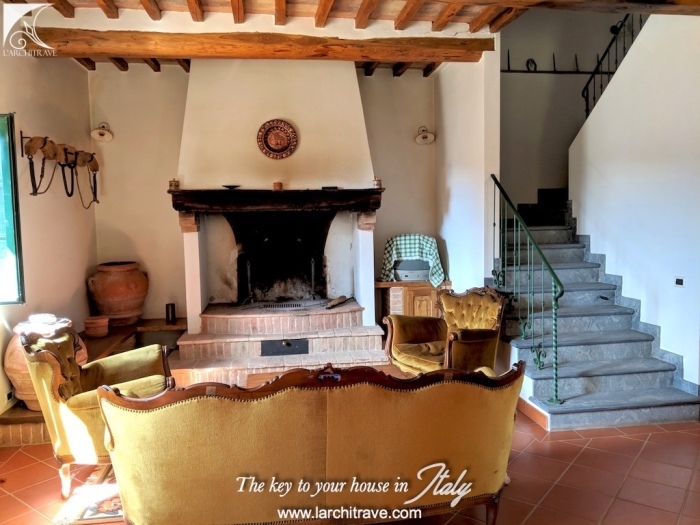 Access from the panoramic portico, with pizza oven, into the large living room with fireplace, spacious kitchen, rustic room with internal barbeque, bathroom and storage room. 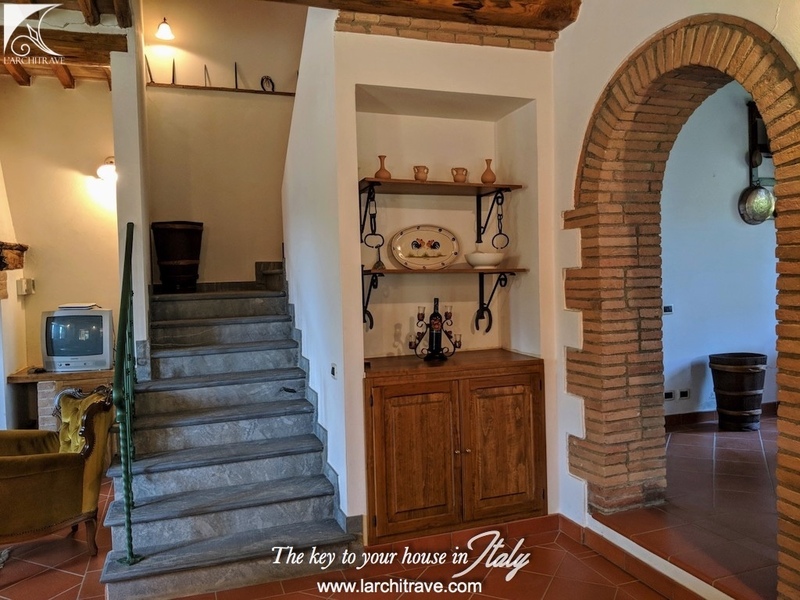 On the first floor through a terracotta staircase there are 4 bedrooms and bathroom, it is possible to create a second bathroom. 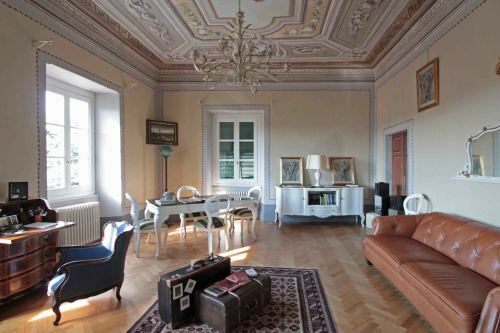 Beautiful cotto flooring and beamed ceiling. 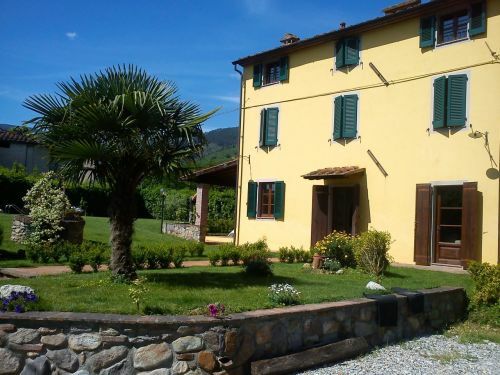 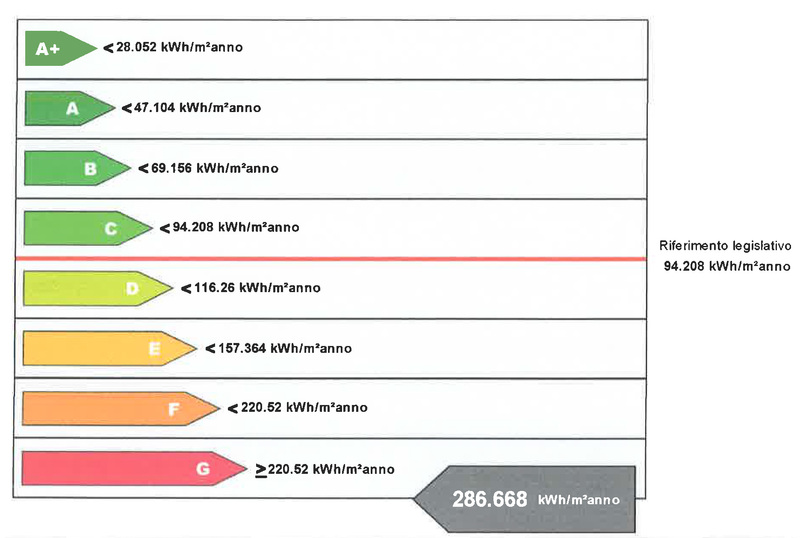 The property is provided with certified services. 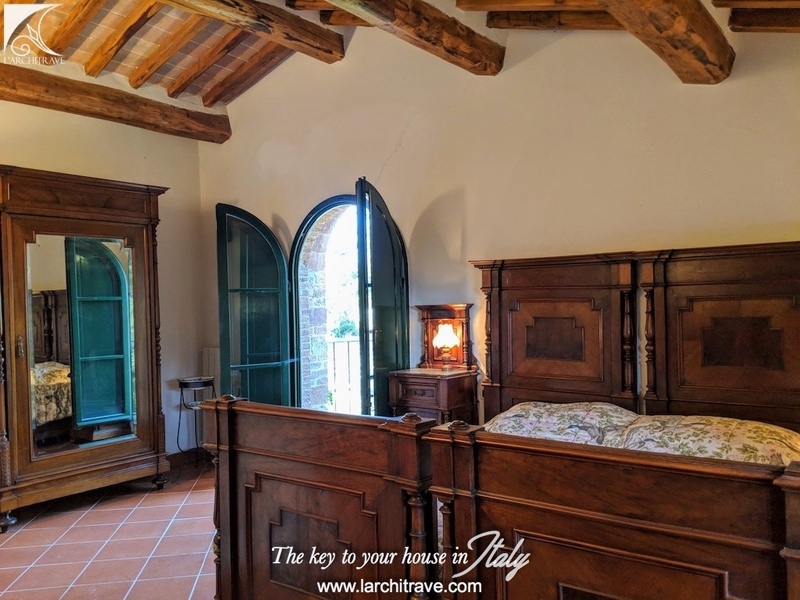 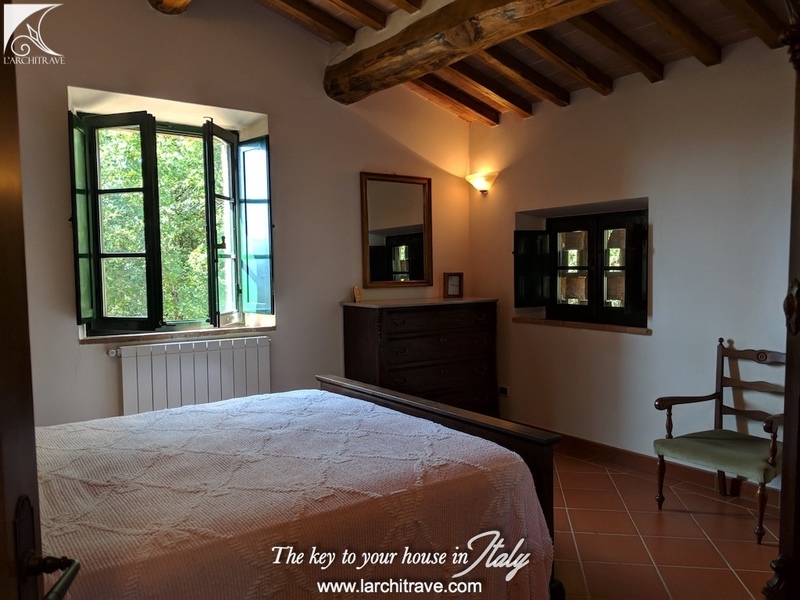 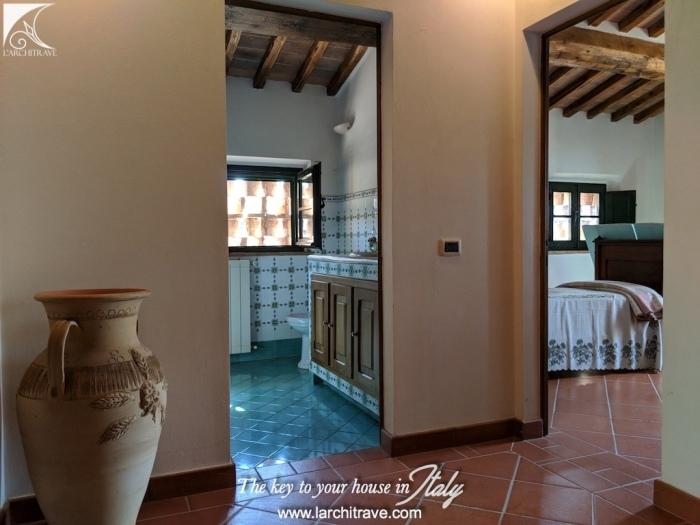 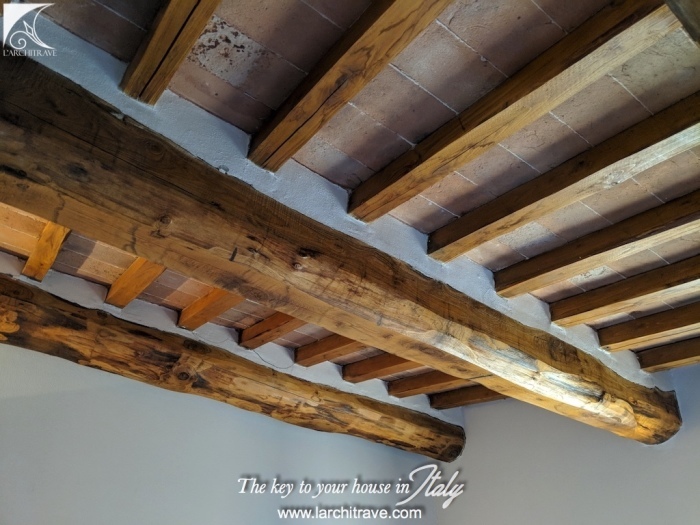 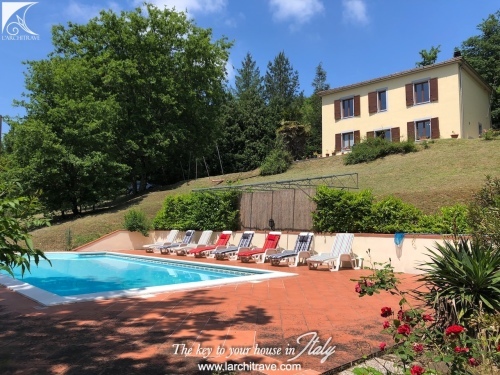 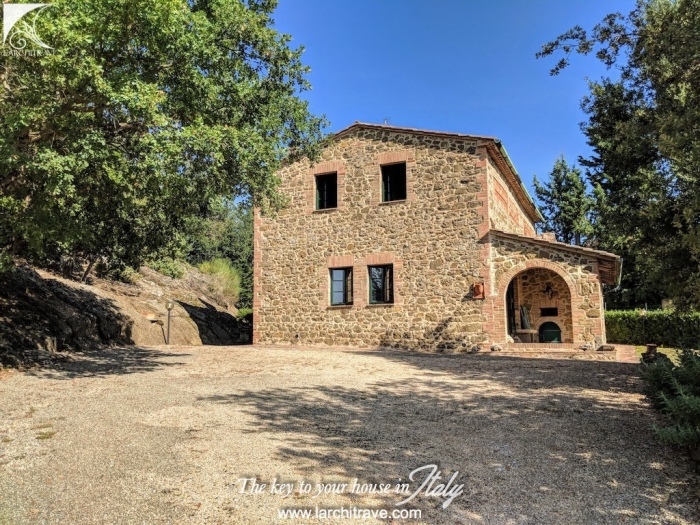 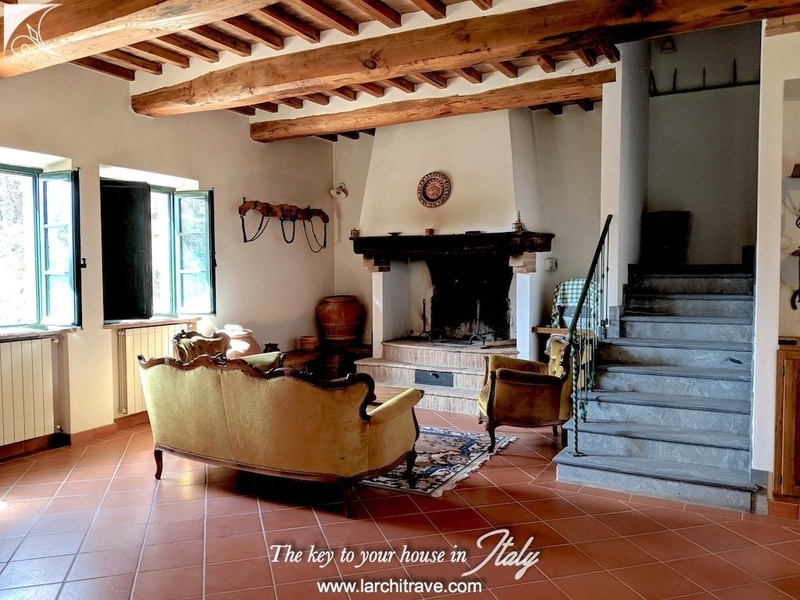 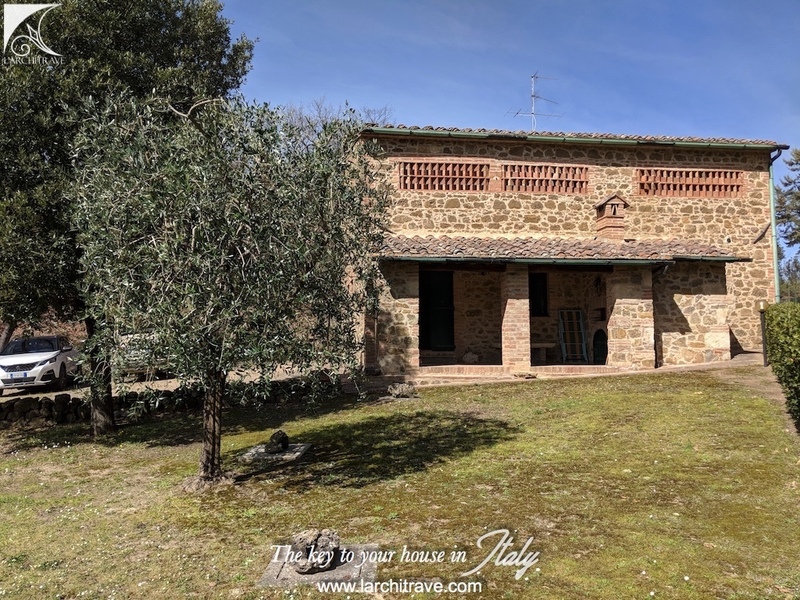 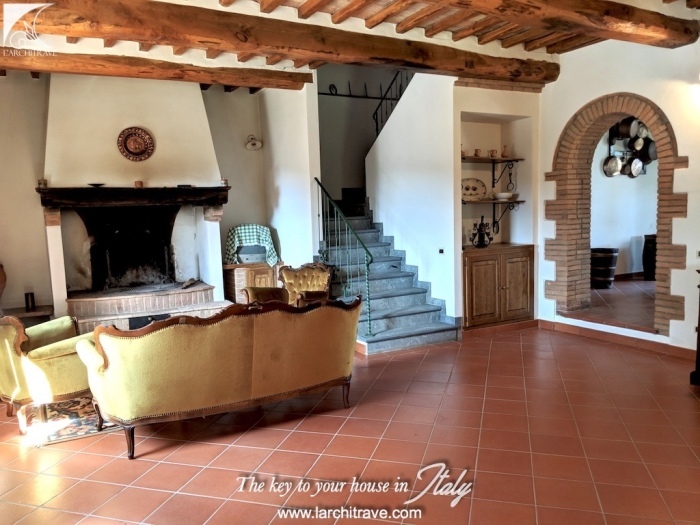 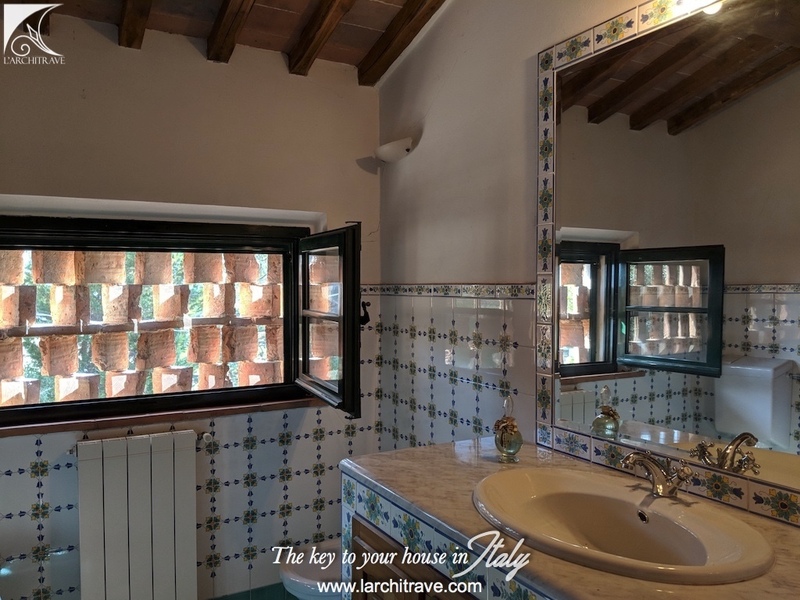 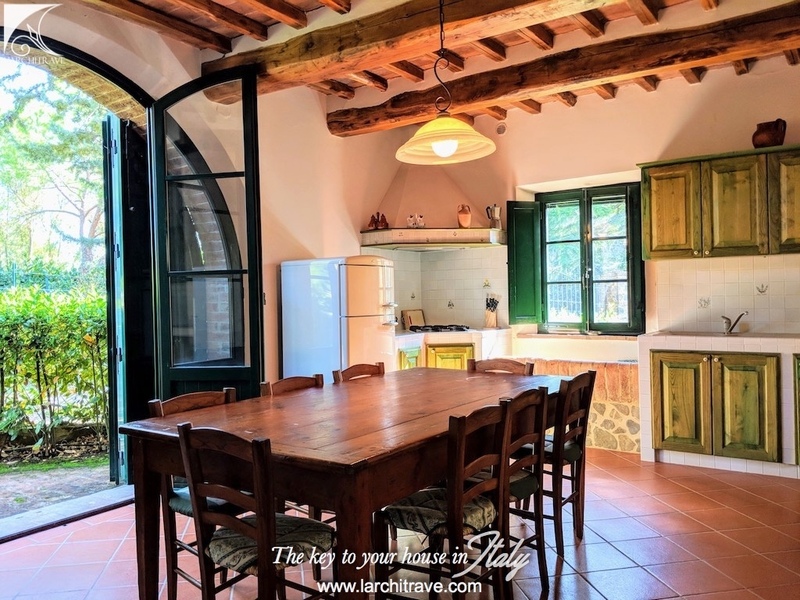 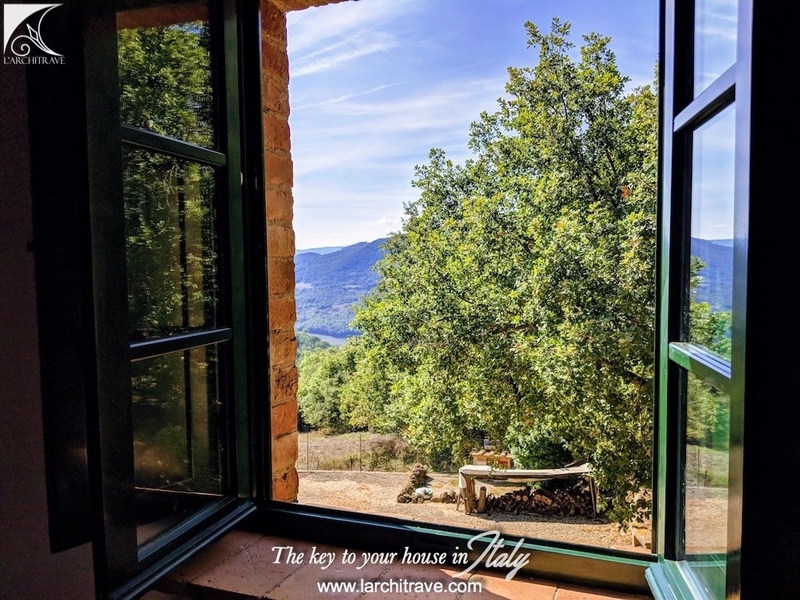 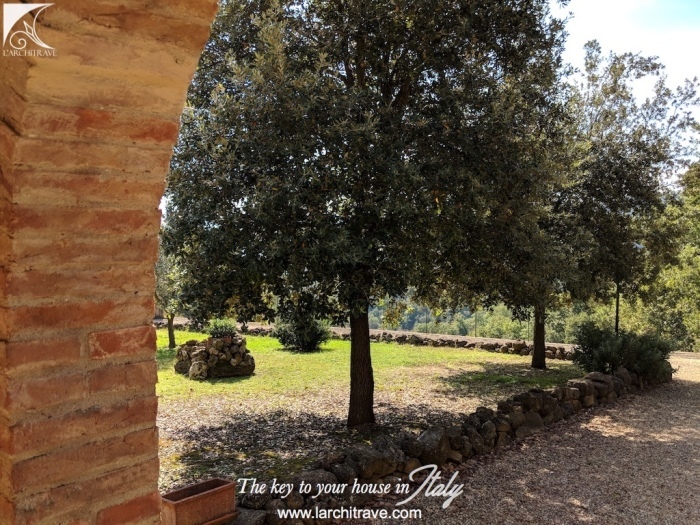 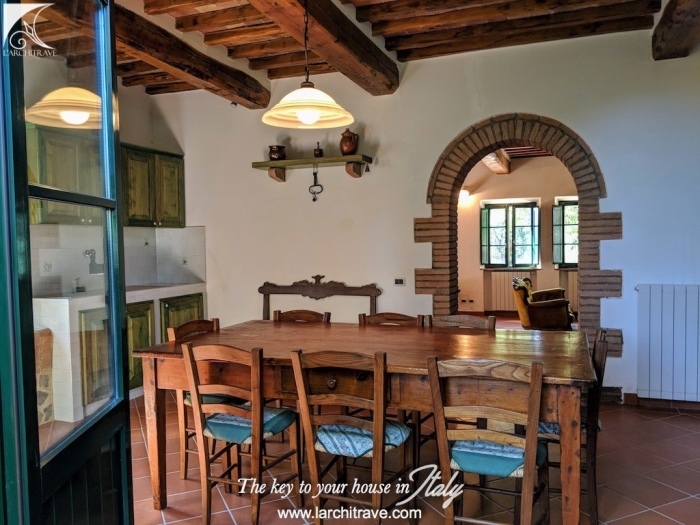 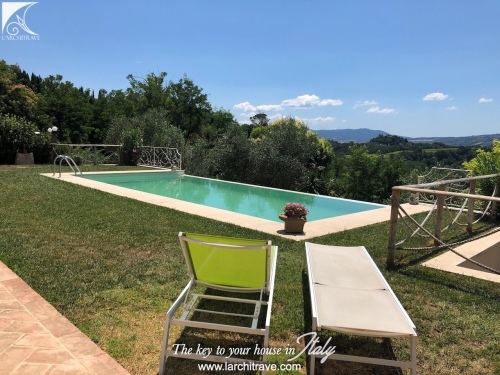 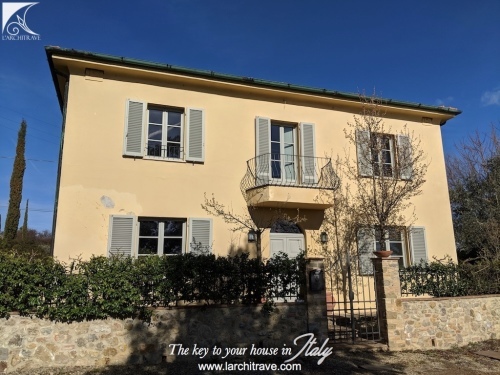 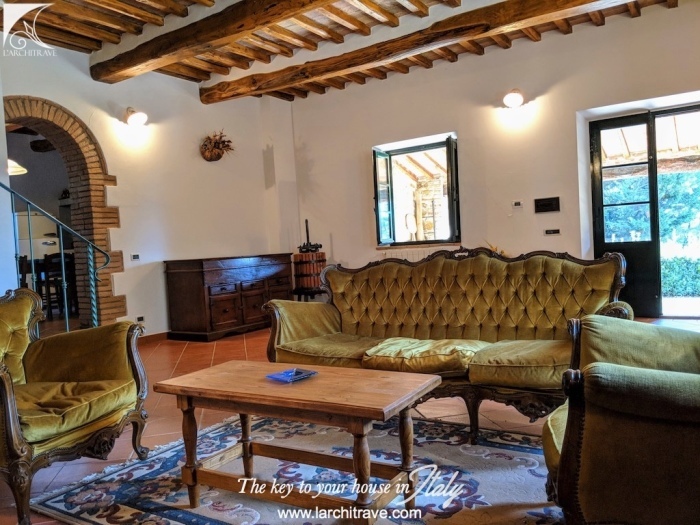 The house is located at the end of a white well maintained road, in the area of Siena, at 6 km from Casole d'Elsa and 2 km from Monteguidi, a lovely village with a fantastic restaurant. In the village of Monteguidi you will find a friendly community. 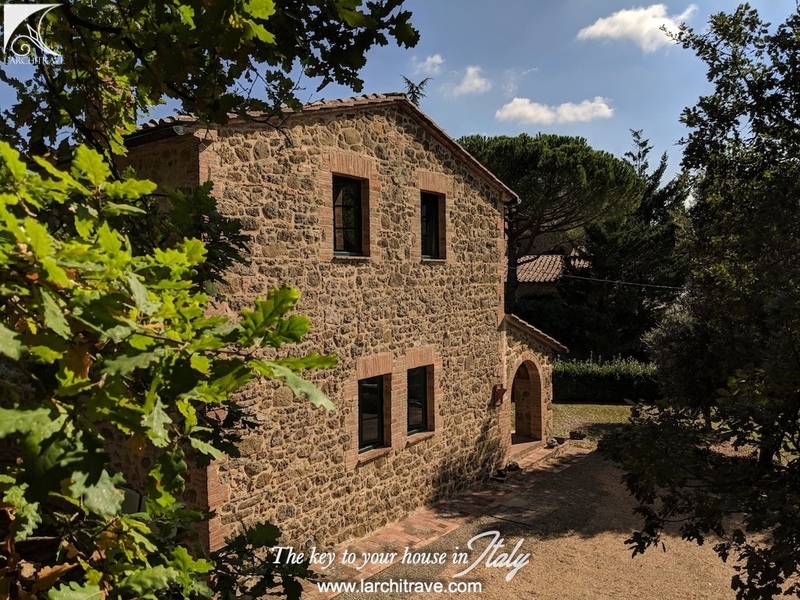 There is a small grocery store, a bar (offering pizzas and doughnuts on Saturday nights and dinners throughout the year), and a good trattoria 100m from the house. Daily bread delivery to the door as well as weekly fresh fish. 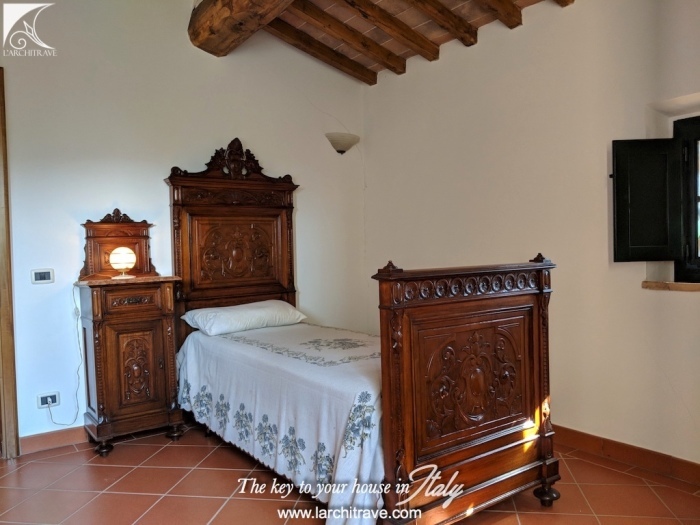 There is a play area for children and a charming medieval church offering services every Sunday. 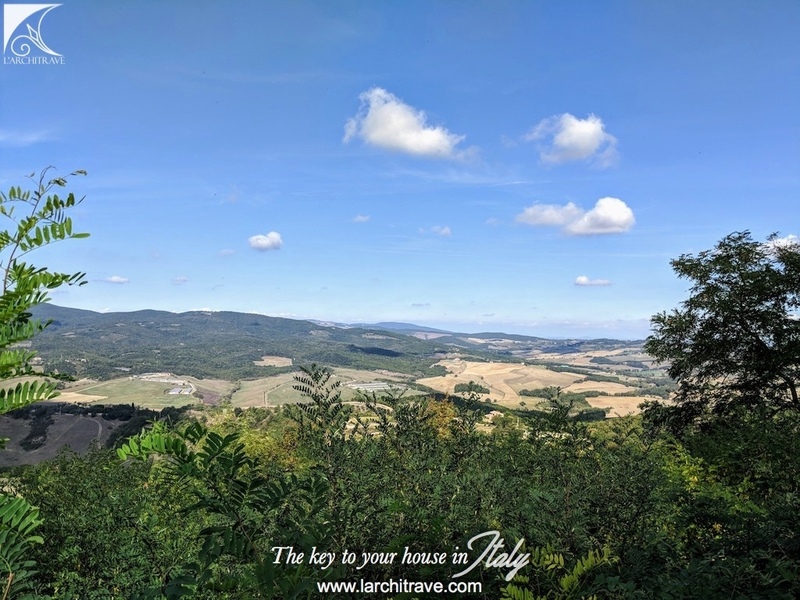 There are beautiful walks in every direction all with panoramic views. Close by, there are three renowned vineyards selling wine, olive oil and honey. Throughout the year they all offer tasting events. 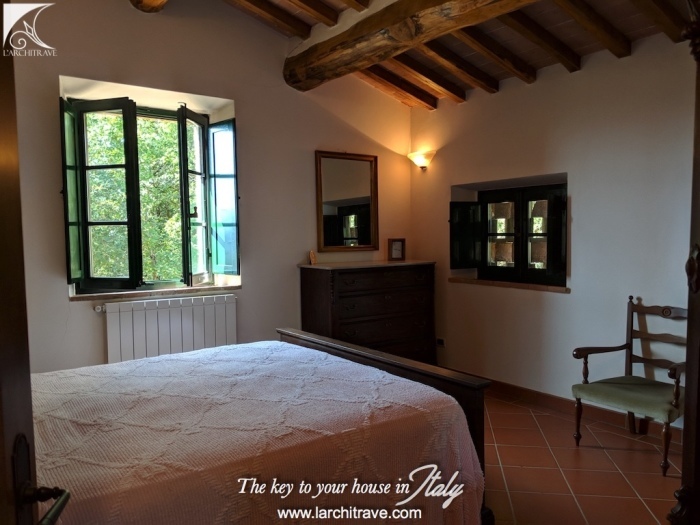 There are horse riding facilities & stables close by. There is a regular bus service from the village to Casole D Elsa and the larger nearby town of Colle Val D Elsa. 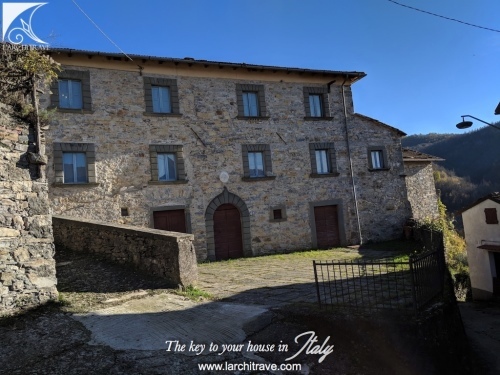 Casole D Elsa is a delightful medieval town, a 10 minute drive away with a weekly market, a good choice of grocery stores, bakeries, butchers, a pharmacy, banks, post office, bars and restaurants. 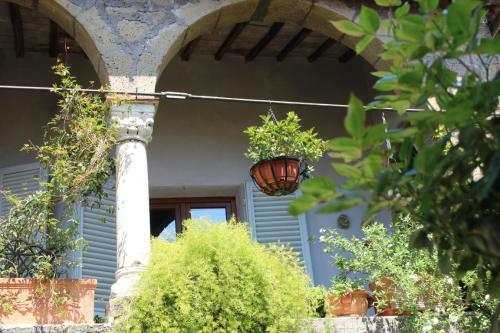 There is also a small supermarket, an art school and a museum. 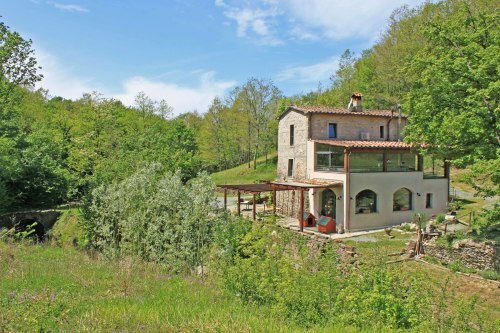 The Berignone National Park is on the edge of town offering beautiful walking paths. 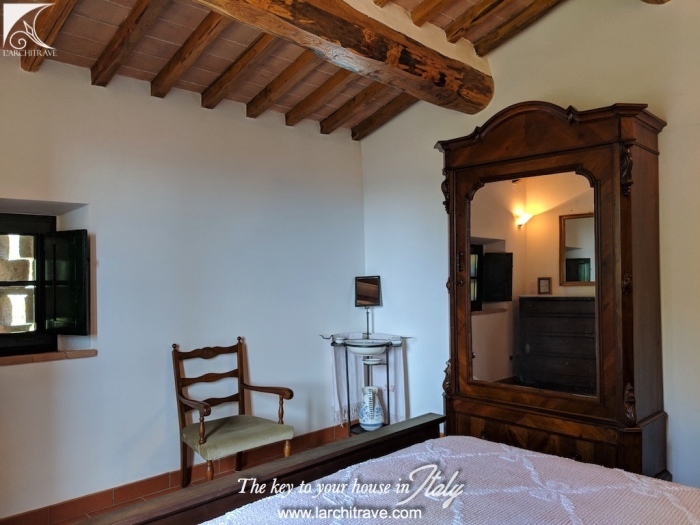 The prestigious Castello di Casole is nearby offering 5 star hotel accommodation & Spa, a cocktail bar, a pizzeria and a fine dining restaurant. 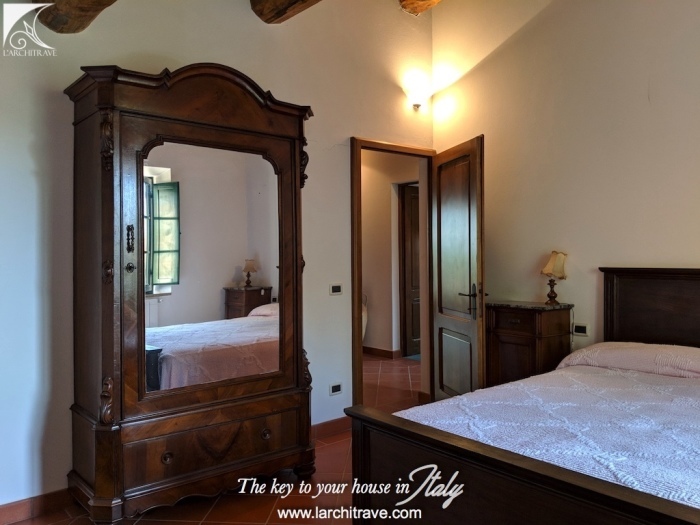 There are also a number of hotels and B&B s locally. Distances: Siena 45 km, Colle Val d'Elsa 30 km, Florence 72 km, Pisa 95 km.